How do I update malware definition for UAV Malware Scanner (LM)? How do I use the QuickCAST Server UAV Malware Scanner (LM) Option? 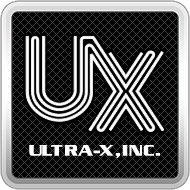 How do I update the UX Database? How to Import QuickTech Self Boot logs into UX Database? Help: QuickCAST isn't deploying images? How do I share the UXD deployment folder? How to modify the look and feel of the report output file? UAV Update Service Error - Could not find a part of the path 'C:\uxd\rescue\lib\Scan.zip'. How to Install UAV Definition Update Service? How to UnInstall the UAV Definition Update Service?